Rolex watches are generally known for their use of opulent materials and straightforward designs that don't exactly scream playful. But this customised Submariner, designed by the Bamford Watch Department, eschews the diamonds and gold and platinum in favour of something a little more sleek and stripped down. 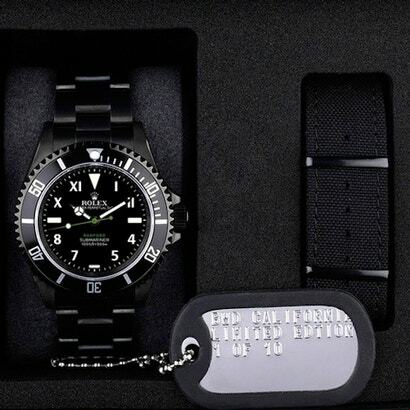 Ever think you'd see a Rolex packaged with a NATO band? And though it may not scream luxury, we all know that the guts inside of a Rolex are what make it as valuable as what's on the outside. 41 of these rarities were produced, each with its own certificate of authenticity. 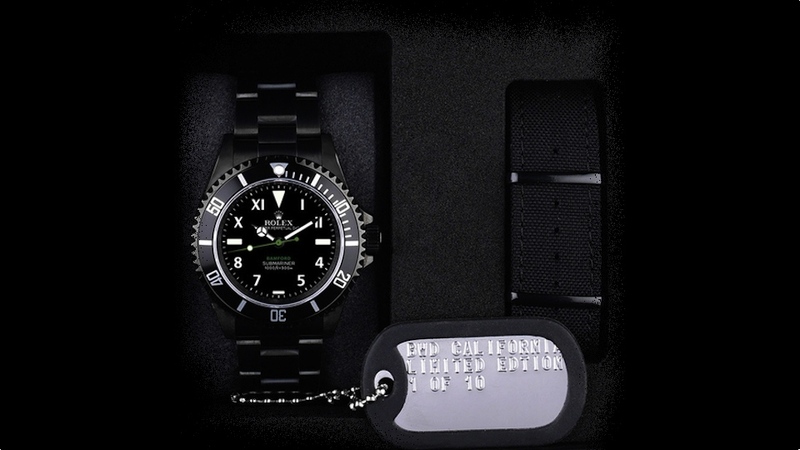 But aside from the black steel casing and the $US17,500 price tag, the design of the watch face is easy enough to understand, and it's just weird enough to make it stand out from a typical Rolex release.